Homer Bailey will be on the 15-day DL to begin the season. John Lamb will be on the 15-day DL to begin the season. Lorenzen will be on the 15-day DL to begin the season. Iggy will not be ready and stretched out to begin the season. Disco is a lock for the #1 starting rotation spot. Finnegan will take the #2 starting rotation spot. Two more starting rotation spots must be filled before Iggy might be ready to step into the #5 spot by April 18th. If the Reds are serious about their reload in 2016, Stephenson and Reed will NOT be options for the 2016 starting rotation. Moscot has under whelmed in his last three appearances and has now experienced an intercostal strain, but he might still be stretched out and ready for a starting rotation spot. In a competitive season, Melville would be the option Walt Jocketty would use for his own unfathomable reasons while fans screamed bloody murder, but for 2016, Melville will be stretched out and ready for a starting rotation spot. Pedro Villarreal is a forgotten man, for good reason, but he has extensive starting experience and he could still be stretched out and ready for a starting rotation spot. Once teams start waiving players without options available or space on the 40-man roster, there may be additional names to throw into the hopper for less than desirable fill-ins for the final two starting rotation spots. I like Villarreal for one of the final two temporary starting rotation spots.Ã‚Â He was after all, the designated long man out of the bullpen and has had a good spring training. Villarreal would need to be added to the 40-man roster, but there is room available on the 40-man roster and he could just flip to the bullpen and fill his familiar long relief role once the starting rotation stabilizes. Unless Moscot proves unserviceable in a starting role or falls to the intercostal strain, he needs to begin the 2016 season as a starter.Ã‚Â The 2016 reboot season is for determining future value and roles, not squeezing every win out of the season.Ã‚Â Moscot should have three more spring training starts to demonstrate some utility as a starter, with Melville waiting in the wings to step in if needed. The final three starts in spring training will be against better hitters and starting pitchers will begin to stretch out past five and six innings in preparation for opening day. If those three internal options for the opening day starting rotation all fall on their collective faces during the final two weeks of spring training (or 1st two weeks of the season), then there’s always the external waiver claims or roster cuts looking for a starting opportunity. Adding one or two more starting pitchers would be a good idea in any event, just as potential starting rotation depth. Iggy will be stretched out and ready to join the starting rotation by April 18th.Ã‚Â This will create a full 5-man contingent for the starting rotation. Bailey should be ready to join the starting rotation by early May. 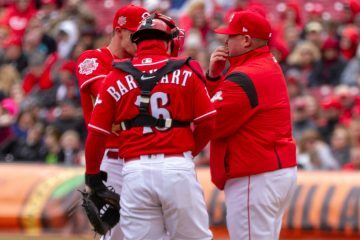 By late may or early June, Lamb and Lorenzen should be ready to join the starting rotation.Ã‚Â As Bailey leads the return of the final three starters to join the starting rotation from the DL, any pitcher not producing in the starting rotation should be moved to the bullpen or sent packing off the 25-man roster. From that point, the auditions for starting rotation spots in 2017 begin in earnest. Bailey, Disco, Iggy, Lamb and Lorenzen lead the 2016 contingent of competitors for the starting rotation and should be given every opportunity to succeed or fail in the starting rotation. Based on performance, Finnegan and Moscot are also in that discussion of the seven candidates for the starting rotation and Finnegan gets an early jump to show what he can do in the starting rotation. Villarreal and Melville are simply starting rotation fillers for 2016 and should not be in the starting pitcher discussion at all if everyone else is healthy. Now letÃ¢â‚¬â„¢s move to the point of this dissertation. As viewed from the Old Recliner, any and all decisions regarding the starting pitching rotation must avoid the situation that put the Reds in their current predicament with the entire starting rotation replaced en-masse and paying market price for FA starting pitchers. In addition to the 7 pitchers competing for a starting rotation spot during the rebooting 2016 season, Garrett, Davis, Reed and Stephenson will join that competition for the 2017 season with Travieso and Mella added to the mix for the 2018 season.Ã‚Â The Reds management must adjust and prepare for the 2021, 2022 and 2023 seasons prior to those seasons beginning. Stephenson and Reed look like solid bets to crack the starting rotation on the 25-man roster in 2017. If the Reds were playing to win in 2016, they would almost certainly be among the five best starters for 2016. Only three members of the seven candidates from the 2016 starting rotation will be necessary for the 2017 rotation. Some of those seven candidates will have already been moved to the bullpen based on capabilities and performance (for discussion purposes without those 2016 performances known, letÃ¢â‚¬â„¢s arbitrarily identify Moscot and Lorenzen as bullpen candidates).Ã‚Â That leaves 2 more starting pitchers from among the 2016 staff (Bailey, Disco, Iggy, Lamb & Finnegan) that will not be needed as starting pitchers in 2017. The Reds certainly donÃ¢â‚¬â„¢t want to lose any clear-cut, top-of-the-rotation (#1 or #2) starters from that group, but performances during the 2016 season will determine if such a situation exists and we have no way of knowing how that situation will play out. This is where the critical decisions come into play.Ã‚Â If the Reds have five (or more) successful starters in 2016, somebody has to go. The Reds management needs to decide if there is more value to moving a successful starter(s) with multiple years of team control to the bullpen in 2017 or trading a successful starter for a frontline position player and/or top prospects. Any and all of the 2016 starters must enter into that decision (Bailey, Disco and Iggy included). If Bailey or Disco do not separate themselves as clear-cut, superior, top-of-the-rotation starters from the other starters, then the Reds should look to trade one of those two pitchers after the 2016 season (and possibly even market them at the 2016 trade deadline for a windfall trade without any pressure to make a deadline trade).Ã‚Â This could happen by multiple starters performing during 2016 as superior, top-of-the-rotation starters (please let this happen!) or Bailey and/or Disco putting up a more pedestrian performance in 2016. The same situation will present itself after the 2017 season as additional pitchers (Garrett, Davis, Travieso and Mella) enter the discussion for 2018. It is imperative that the Reds have a real ascension plan in place for the starting pitching staff, rather than just waiting for player control to run its course and then punting. Ã‚Â Throughout the ascension plan, sufficient depth must be maintained to cover injuries to the starting rotation. 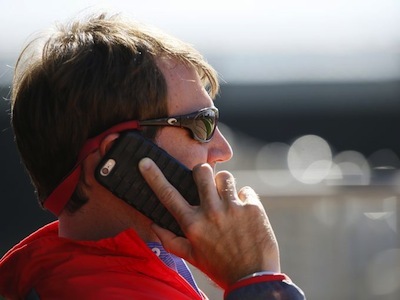 After resolving the starting pitching for 2016, the bullpen needs must be considered.Ã‚Â The Reds will need seven or eight bullpen pitchers to start the 2016 season.Ã‚Â They can easily carry an extra bullpen pitcher until April 18th when the Reds will need a 5th starter.Ã‚Â IÃ¢â‚¬â„¢m going to assume two of the three internal starting pitching options (Villarreal, Melville and Moscot) make the opening day starting rotation, with the odd man out moving to the bullpen for long relief or AAA.Ã‚Â IÃ¢â‚¬â„¢ll arbitrarily name Melville as that odd man out pending the final three starts of spring training, but any combination or permutation of those three pitchers provides similar results. The bullpen will lack experience in 2016, so what limited experience is available, must carry some early emphasis.Ã‚Â Hoover, Cingrani and Jumbo begin the season as late inning/high leverage relievers. (The discussion of late inning vs. high leverage will not be addressed or resolved here. )Ã‚Â The remainder of the opening day 2016 bullpen will be filled from: Sanchez, Cotham, OÃ¢â‚¬â„¢Grady, Sampson, Contreras, Dayan Diaz, Somsen, Johnson and Moscot.Ã‚Â The 40-man roster may be an issue if multiple non-roster pitchers are considered for the major league bullpen, but there is baggage on the 40-man roster and a 60-day DL may be justified for a couple of players on the 40-man roster. Under no circumstances should Weiss, Howard, Crawford or Romano be considered for the 25-man roster.Ã‚Â There are plenty of other bullpen options to sort through in 2016 before beginning their service time.Ã‚Â Their consideration will come in 2017 and 2018 as the bullpen performances during the 2016 season will eliminate some relievers going forward and roles will become more defined in the 2016 bullpen as some starters are shuffled into the bullpen. The 2016 bullpen will be a work-in-progress, inconsistent (Hoover?) and probably a real weakness (Jumbo?) on the team.Ã‚Â There will also be solid bullpen performances (Cingrani, Sampson, Somsen?) along with some later bullpen additions as the starters shuffle to the bullpen (Moscot, Villarreal & Lorenzen).Ã‚Â Just like the starting rotation, the Reds must use the opportunity during the 2016 reboot to evaluate the bullpen and identify the pitchers capable of assisting the team going forward in 2017 and identify the pitchers not part of the future. At the end of the 2016 season, the bullpen must also be evaluated for trade value (Hoover?) to possibly return a future prospect and the process should be repeated after the 2017 season (Cingrani?) and after each season.Ã‚Â The Reds have the opportunity to properly plan and stock a successful bullpen after 2017 without focusing on FA acquisitions to fill bullpen holes at FA salaries or paying high, late-arbitration salaries for relievers. Due to the questionable repeatability of bullpen performances, the need to trade extra bullpen contracts isnÃ¢â‚¬â„¢t nearly as necessary or important as starting pitcher contracts. The value return for relievers will not approach the value return for starting pitchers and the arbitration contracts for relievers will not approach the arbitration contracts for starters. The elephant in the room regarding planning for future moves is the rule changes that will occur with the next CBA contract. I saw your post on the other thread and smiled broadly as I read it. Those are the first mentions regarding Villarreal I can recall this spring. Villarreal is certainly not a stud on the mound. He doesn’t miss bats. He does create ground balls. He really is a replacement level pitcher, but he’s also paid as a replacement level pitcher. That beats the heck out of the options the Reds usually field, replacement level or below replacement level making millions of dollars. If the Reds Twitter account is to be believed, they’ve just signed Alfredo Simon for a return gig. As long as he was super cheap and it’s a 1-year deal, I’m strangely at peace with this news. One year major league deal, but no financials disclosed yet. Even with no compensation pick attached to him, Simon still couldn’t get a job until now. Maybe he’ll be worth something at the trade deadline, and will eat innings until then. Or all season, if the Reds can’t flip him. I agree with writers later in this thread that Sampson is a viable candidate for the infrequent 5th starter role (not often needed early in the season)–until one of the strong pitchers returns from injury. Simon has a pulse….is cheap and didn’t cost them anything to obtain. He’s a band aid…nothing more, nothing less. Depending on $$, I think this is a good thing. He can work with Price again. My sleeper pick this year though is Sampson. I think he could be very effective out of the pen. The stuff is there, especially when he can go all out and only rely on two pitches. His command will the the only thing that may hold him back. Good signing. Takes the pressure off having to start the clock on Reed or Stephenson. Who knows, Alfredo is only a year removed from being a quality starter. Might regain that form for a while. Cingrani should close.Better pitcher than either Hoover or Diaz and he’s got an angry edge. Suits a closer. I could be wrong about Iglesias’ contract, but I thought it was structured so the he got to retain his arbitration rights at the same time as if he were a normal player coming through the minors. So after 3 years of service time (starting in 2018) he’d be eligible for arb and then he’d be a full FA in 2021 season rather than 2022? To be honest, contract math is my weakest area of baseball knowledge. I defer to BR and Cots for contract info. I thought the Reds learned from the Chapman contract and lengthened the time before Iggy’s contract opted into ARB, but even I don’t trust my memory. If Iggy does have the ability to opt into ARB after 3 years, then the Reds will need to seriously evaluate the value of his contract if he continues to progress as everyone is expecting. Patrick, you are correct it is very similar to Chapman’s original deal except the numbers aren’t as large and the signing bonus is prorate across more years. The contract was only thru 2020.The Reds do not forfeit any years of control, they just allow Iglesias the option to chose arb over the contract when he is eligible. He currently has less than a full year of service and will be under team control until after the season he reaches 6 full years of team control. I count that as no sooner than after the 2021 season. That is some thoughtful, forward-thinking analysis, Warren. Nice work. Once some of the pitching roles start to be more determined at the ML level, the more things settle in all around. The bullpen as you mention. But this year also allows in the minors for more time for the cream to rise to the top. Next winter the Reds could be in a nice position to trade a couple of prospects for where they have a positional lack. One other thing to consider, regarding DeSclafani, once he becomes arbitration eligible or 2nd year eligible, he could possibly be dealt like the Braves did with Shelby Miller. That is if Reed and Stephenson adapt to ML hitters in good time and have success. That would give you Bailey, Iglesias, Finnegan, Reed, and Stephenson going into 2017 or 2018. Desclafani, if he has another solid year this year, could be an amazing trade piece after 2016 (with 4 years remaining) or most likely after 2017 (with 3 years remaining, all arb. elig). WV, You are describing the exact situation that needs to be addressed. The Reds need to identify the best value for a trade. If Bailey pitches lights out this season, along with Disco and Iggy and Lamb, then the Reds need to determine where the best trade value is. Bailey may be the best option for a trade for the salary relief plus any return in the trade. Disco may be the best option to return the biggest haul in quality prospects with his team control and proven durability. It is a new time, a new season, a new era, a new window of opportunity. Is it time for the Old Recliner to become the New Recliner? Maybe a note to the Mrs.? Actually, our Christmas present to ourselves was a new recliner capable of snuggling both the Old Cossack and Mrs. Cossack together, but the Old Recliner is still reserved for baseball games. I do like your sentiment regarding a new era & a new window of opportunity. This spring training does have the feel of a rebirth with Joey Votto still anchoring the team, but now as the proven veteran rather than the new guy. “We’ve been following the market for the past month or so,” Williams said, “looking for someone that we could plug into the rotation that could provide us with innings, a veteran presence, some experience — particularly in our division, someone we’ve had success with in the past”. With the signing coming the morning after the announcement of Arroyo’s major injury, is it fair to assume they were hoping Bronson was going to be not good enough for the Nats but looked good enough for the Reds??? After all, not too many guys around except Arroyo and Simon who would fit DW’s description to a “T”. That last line might be WJ’s influence infecting Williams’ mind. Yep. Whatever. The only other guy (aside from BA an AS) I can think of who remotely fits the description is Aaron Harang. As far as I can find he has not announced his retirement but is not in a camp or working out. Sean Marshall is still out there lurking in the shadows. So is it safe to say we won the Suarez-Simon trade? Who is this Dayan Diaz kid doing his best Sam LeCure impersonation? He comes in with 1 out and a man on 3B after Stephenson absolutely flames out and simply shuts ’em down. Then he comes back out for an encore in the 4th inning. I’ll take some more of that please. Cingrani looks healthy and ANGRY! again. That’s not good news for NL hitters. The bullpen today had 6.2 IP, 3 H, 1 BB, 4 SO and nothing crossed the plate. I’ll take some more of that too please. I”m ok with the Simpson pick up. The guy will probably have a high 3 to mid 4 ERA but maybe he can bring back some of that magic he had 2 years ago. Very sad to hear about Arroyo .. Was a huge fan of his Oh but Reds dodged a bullet there. Cingrani could start as well, even though its been a few years since his last Major League start. The Simon signing was a good move, low cost, low risk, fills a short-term need, possible upside potential. There are now 3 starts remaining in spring training before things get real. How the heck is Simon going to get stretched out and ready as a starter in 3 starts? If he’s not stretched out and ready in 3 starts, the Reds are still in that same leaky boat in rough seas for the first 2 weeks of the season when the only good starting pitching options are Disco and Finnegan with 4 positions to fill. Agreed. Wow, the Tigers must be kicking themselves. We trade Simon to them for Suarez, then get Simon back a year later? That’s one or even two in the plus column for us in that trade. I’m not too worried about this season. I thought the Reds would put a bit more into last season. But, that’s meaningless now. I believe this season is going to be more like what Hamilton’s rookie year should have been like, just let the young studs get some playing time and develop. But, they overachieved the first half of that season. Then, everyone was squawking about how the Reds should have made a trade to increase their chances to win that season. Everyone lost focus back then. We get what we have now. So, I’m taking this season as just that. If anything, I just hope we get some different luck with injuries with the new trainer, which I assume means a new training staff and/or philosophy, also. I can’t plan so much for that, though, if they don’t changed the medical staff as well. For example, current reports are Homer’s suppose to be pitching by May. I want more information than that. Does that mean simply throwing a ball off a mound, something like the “first pitch” at the ballgame? Or, are they talking about starting in a major league game at full strength and no mental concerns from the injury? IF there are no relapses, which I wouldn’t count out given the success we’ve had the last few years, I honestly don’t think we are going to see Homer on the mound starting a game in a Reds uniform until after the All-Star break. Mentally, he may not be ready until next season (i.e., he may be worried about re-injury and, thus, not pitch as hard/effective). Price talked about Bailey starting a game for the Reds around the first of May. He’s had no mental issues this spring, throwing normally, without pain as if nothing had happened. Easy to find those reports if you care to learn the truth. That is the first mention I recall of any injury other than the hip impingement. Did i simply miss the issue of the torn labrum or was this new information?